With over 30 year experience and a strong focus on customer satisfaction, you can rely on Sierra Nevada Builders for planning your next outdoor living project or home renovation. 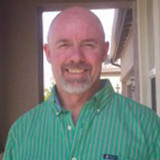 From start to finish, you will be closely partnering and communicating with owner, Bryan Slavik. Unlike other construction companies that send out a high pressure salesman who you never see again and a crew of subcontractors. We pride ourselves on working with you throughout the entire process and ensuring you are expectations are surpassed! We specialize in building custom patio covers for your outdoor living needs, as well as decks and sunrooms. “Excellence Prevails” is our motto, and with a personal drive for perfection you can rest easy knowing that you have selected the right builder for your needs and that you will be pleased with the finished product. We look forward to working with you! 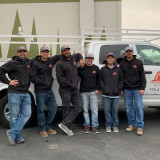 Masterfield Construction is a small Nevada construction company specializing in job perfection and one-on-one customer service for each of your home projects. Our goal is to understand the vision you have for your home and help you achieve that in reality. Ultra-tec® Cable Railing features stainless steel hardware that is designed for architectural purposes, not adapted from a marine application. Our signature tensioning device, the Invisiware® Receiver, hides inside the newel post to ensure your finished railing has the cleanest look possible. Made of at least 65% recycled Type 316 Stainless Steel, Ultra-tec fittings are low maintenance, tamper-resistant, and proudly made in America. Your railing system will resist corrosion and rust the way only the highest grade stainless steel can. There is a 10-year warranty on parts. Best of all, when coupled with our supplied Type 316 1x19 stainless steel cable, you will have a strong, reliable railing system that you look right through. It won’t block the view from your deck and it won’t enclose an interior space. Airy, modern, and green, it’s the railing choice for the 21st century. I started A Home to Envy in 2009 when the construction industry was in the tanks. I was tired of constantly being laid off due to lack of work. I obtained a C3 contractor’s license and started taking any and all work I could get my hands on - from caulking windows to cleaning to moving furniture….I did EVERYTHING! Eventually, the projects starting getting bigger and the work started to become more fun, and slightly more lucrative. I now have two AWESOME full-time employees and no shortage of projects, from decks and patio covers to remodels and more…. Totally unique patented privacy sound walls for all landscape needs, at half the cost of masonry. 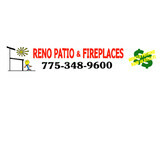 Reno Patio is the best place in Reno and Sparks to get a new Sunroom, Solarium, Awning, Pellet Stove, Patio Cover, Greenhouse, Outdoor Fireplace or BBQ installed, maintained or refurbished. We offer modern, affordable, and industrial strength shade sail solutions designed for our crazy winds. Why buy an expensive aluminum 4 season kit - when you don't use it during winter anyway? lol. Texas Construction and Remodeling (TCR) is a Houston based construction company that specializes in building structures that meet your needs. Building custom patio covers, screen enclosures, decks, roofing homes, installing fencing, siding and floors are just a few of the things that TCR does well. It would be our pleasure to assist you in the investment of your life; your home!We offer the best work at prices you can live with! Our company has built a good reputation over the years with numerous satisfied customers in the greater Houston area. Sierra Shading Solutions Inc is an honest company that tries to provide a shading solution based on each homeowner's individual needs. We bring our samples to your home, evaluate your shading goals & needs, and provide a solution that will work for you. We are an authorized Four Seasons and Home Depot Sunrooms dealer and build the best sunrooms, screen rooms, patios, pergolas, solariums, and many other finely designed backyard structures! Call today! Deck Envy Construction prides itself on being the go-to choice for clients looking for Decks, Patios and Hardscape services. Deck and patio cover pro in the Lake Tahoe area. What services do deck and patio builders in Reno, NV provide? To help you choose the ideal style, configuration and materials for your deck or patio, your deck and patio contractor will survey your Reno, NV lot and your home to come up with a design that complements your exterior as well as being structurally sound. He or she will recommend sizes, heights and construction materials that suit your lifestyle and climate, as well as explain the best stain or finish options. Additionally, deck and patio professionals can provide insight into additional components such as outdoor kitchens, patio covers, fire pits, outdoor lighting, arbors and more. Your deck and patio professional might work closely with another Reno, NV lawn and landscape professional. Here are some related professionals and vendors to complement the work of decks, patios & outdoor enclosures: Landscape Architects & Landscape Designers, Garden & Landscape Supplies, Stone, Pavers & Concrete, Landscape Contractors, Building Supplies. 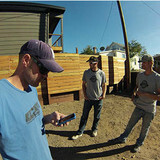 Find a deck and patio builder in Reno, NV on Houzz.